BlackBerry 9700 coming to AT&T | BlackBerry Blast! 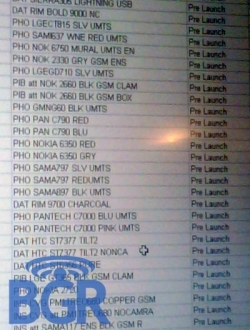 BGR has gotten its hands on a pre-launch list for AT&T that lists a BlackBerry 9700. This means the BlackBerry 9700 is "coming soon" to AT&T which can mean anything from a couple weeks to several months. All we really know at this point is that the BlackBerry 9700 will show up at AT&T at some point.